2012 was the year of arm candy and layering up wrists with every bracelet and bangle you own. 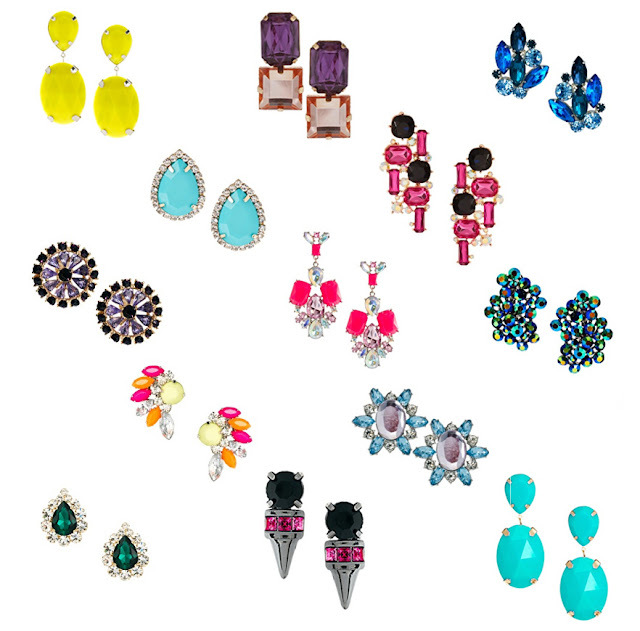 2013 is the year of bling earrings, well that and wearing rings on every finger, a la Balenciaga, but let's talk big and bold earrings; ASOS stocks every statement earring under the sun, here are some of my favourites outfit-makers. I'm loving the lacking-in-subtlety, in-your-face glitzy 80s/ doorknocker/ Dynasty style, as you can see. Any favourites?